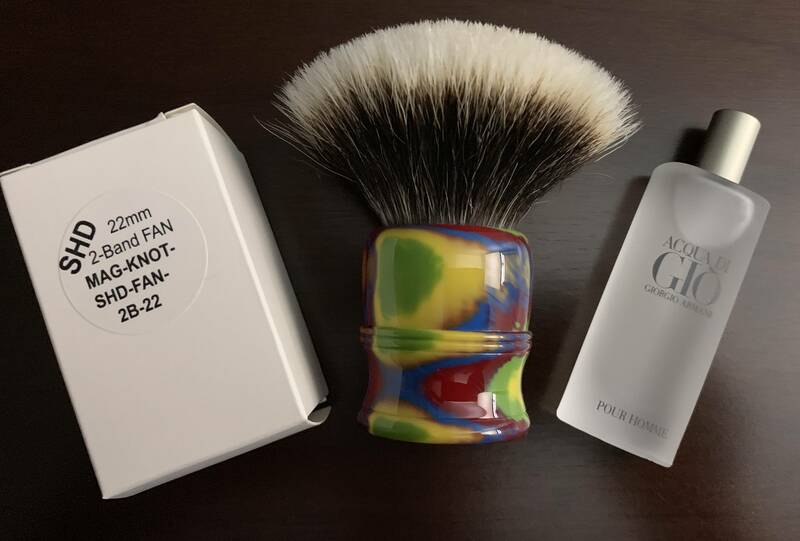 30mm Maggard super high density knot set in a bristle brushworks 3XL disco, lathered twice but never used for shaving. 22mm maggard super high density knot, new unused. Small bottle of Aqua Di Gio edt new unused. Or will trade for a nice razor or fragrance.